Welcome to cosmopolitan living! 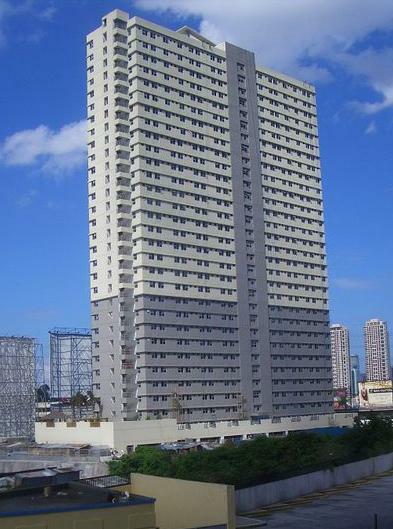 Soon to rise at the heart of Mandaluyong City, Gateway Garden Ridge promises to be the smart and practical choice for young urban families and active individuals. 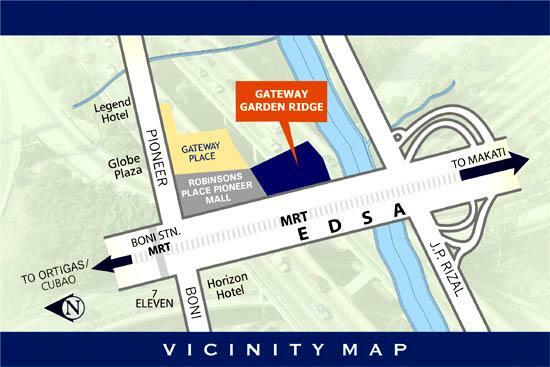 Situated along EDSA and beside the new Robinsons Place Pioneer Mall in Mandaluyong City, the site of the Gateway Garden Ridge is one of the most centrally-located spots you can find in the metropolis. With wide open spaces, landscaped gardens, and various amenities, you can enjoy a healthy and well-balanced lifestyle without the hassle of leaving your home. Whether it's a single, two, or three bedroom bi-level unit, Gateway Garden Ridge offers affordable and competitive financing packages tailor-made to fit your needs. GATEWAY GARDEN RIDGES INQUIRY FORM. Note: All fields are required, otherwise we will not receive your inquiry or contact us here. Disclaimer: The information found herein are subject to change without prior notice. Interested parties are requested to verify all information relating to the property prior to purchase. Prices & Terms of payment are for INFORMATION PURPOSES ONLY and subject to changes without prior notice. Account Manager/Agent of this website is not authorized to collect any forms of payments to clients & buyers please make all payments payable to the ROBINSONS LAND CORPORATION with corresponding OFFICIAL RECEIPTS follows.